1. 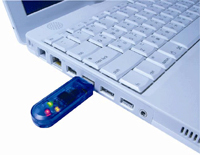 When the UK-O1 is removed from USB port , the PC will enter Lock mode. 2. The user inserts the UK-O1, and the PC will returns to normal operation. 2.Avoid stranger touching your PC at will. 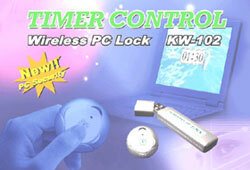 When the user has left his PC, the PC will be locked automatically. When the user backs,the PC will return normal operation. 1 Quick & Safe . 2 Easy to use . 1 .Avoid snooper touching your PC purposely. 2.People who use PC in public area. 1. For parents avoid kids addict to internet. 2.Avoid snooper touch your PC purposely. 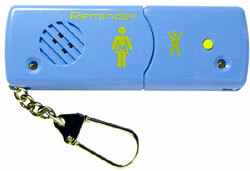 1.Alarm System: Avoid child wander too far away adult. 2.Reminder function:The child should recall to his parents. 3.Personal Alarm: Protect your personal stuff. 1.For parents to keep child safety. 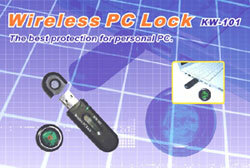 2.Protect your personal stuff easily. Avoid stranger pick up your personal stuff purposely. Keep your stuff safety. 2.Keep watching on your personal stuff. 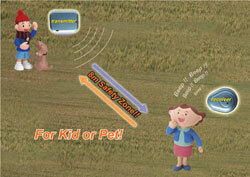 1.Alarm System: Avoid child (or pet ) wander too far away adult. 2. Personal Alarm: Keep watching on your important stuff. 1.For feeder to prevent from pet wander too far. Listen to music from any portable device.